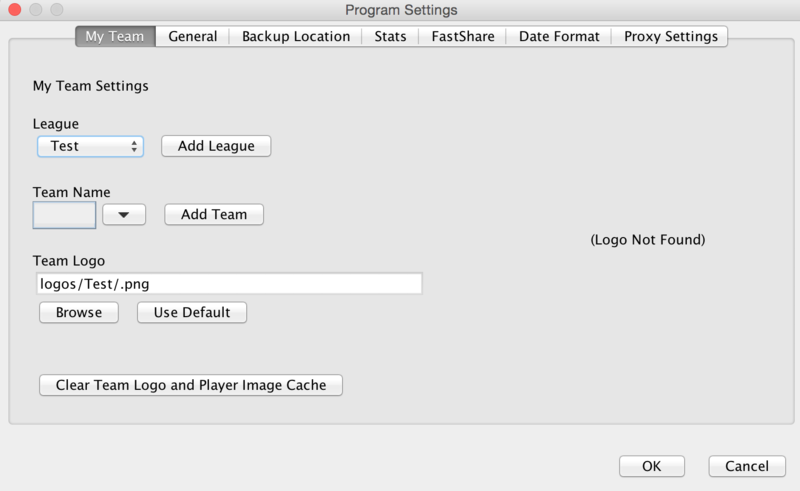 To set or change your team information in FastScout, open the File menu from the top menu bar and select Program Settings. The first tab will be called My Team, and this is where you can set all of your information, including your League, Team Name, and Logo. If you switch schools or jobs but retain the same computer with your FastScout program on it, you will want to be sure to change your My Team information before you start creating scouts at your new school. This will allow you to update all of your information, and the changes will be reflected in your reports. If you are looking to get a jump on the next season in FastScout Basic, you can add a new season into your Stats Database by clicking the Stats menu in the top menu bar and selecting Edit Stats Database. 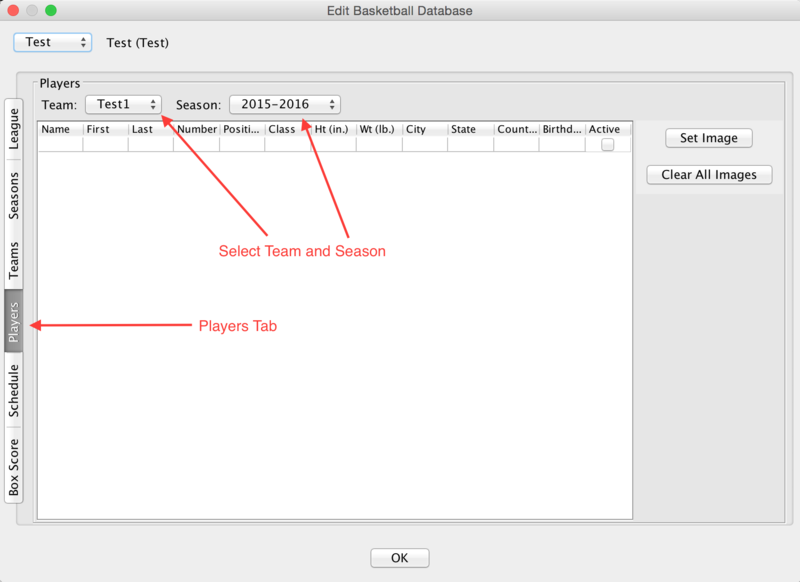 In the Seasons tab add a line for your new season (eg, 2015-16, 2016-17, etc) and press enter. 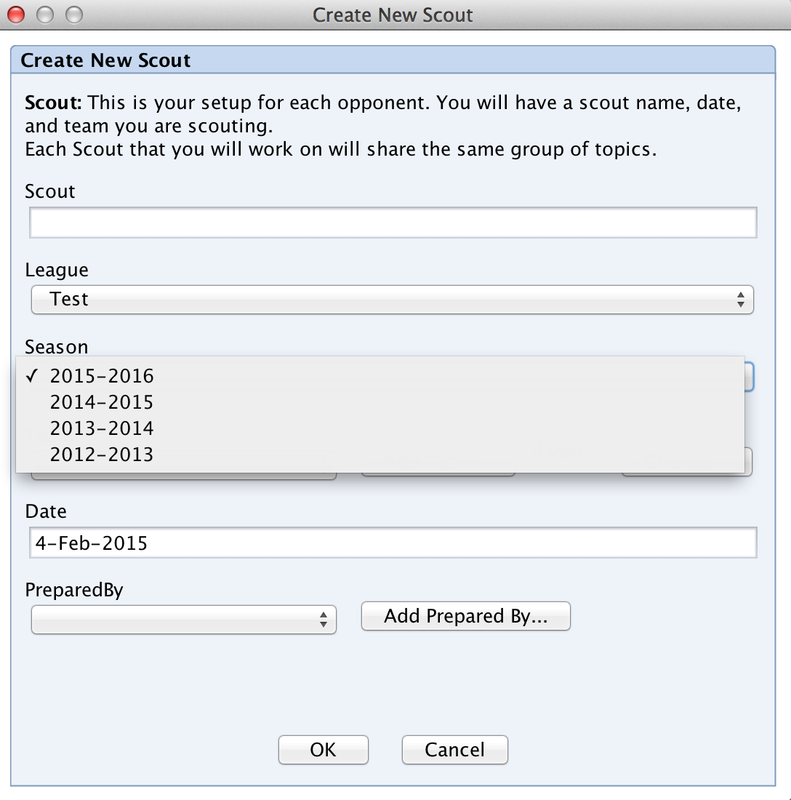 The next time you create a new scout, you will see your new Season available for selection. You can add new teams and roster information in the Stats Database. 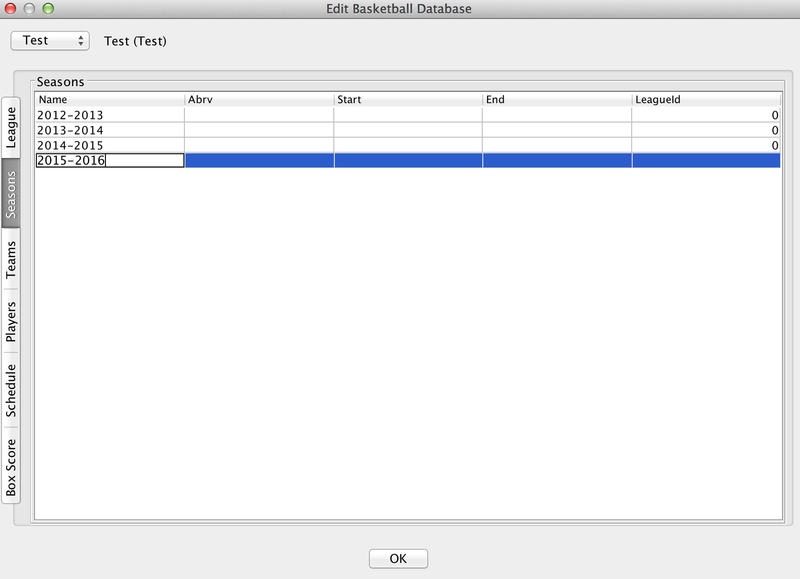 The Stats Database can be accessed by selecting the Stats menu from the top menu bar and selecting Edits Stats Database. In the Stats Database menu, first select your league from the drop down menu at the top left. Once your league is selected, click the Teams tab to add new teams. Once your teams are added, you can add players by selecting the Players tab. 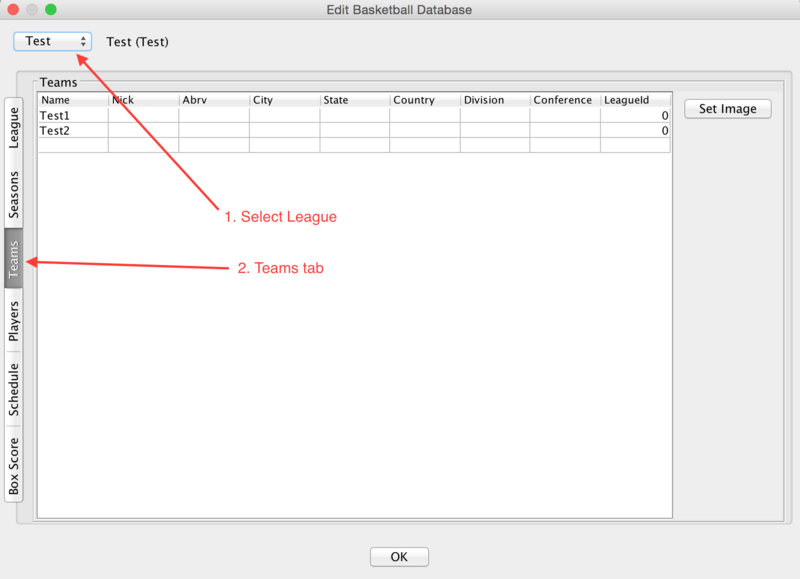 At the top, use the drop down menus to select your Team and Season to add players to. Adding teams allows you to create new scouting reports for those teams, and adding roster information for each team allows the Personnel section to be auto-populated with the roster information that you entered when you create a scouting report for that team.